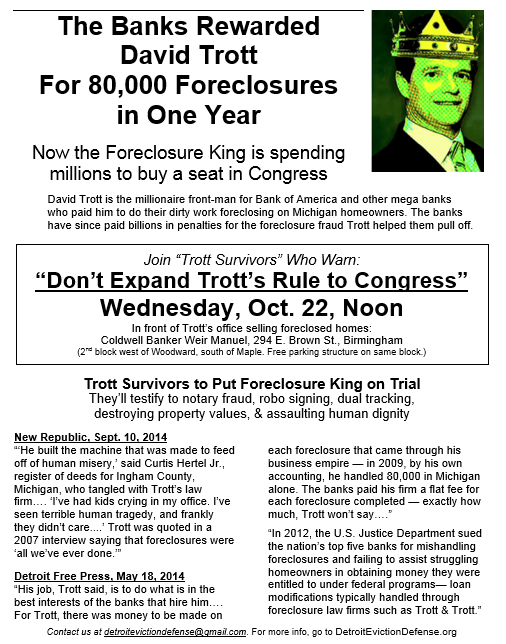 The Foreclosure King, David Trott, is spending millions to buy a seat in Congress. David Trott is the millionaire front-man for the mega banks who paid him to do their dirty work foreclosing on thousands of Metro Detroit homeowners. The banks have since paid billions in penalties for the foreclosure fraud Trott helped them pull off.